...oh, wait, we don't have to do that here, do we? 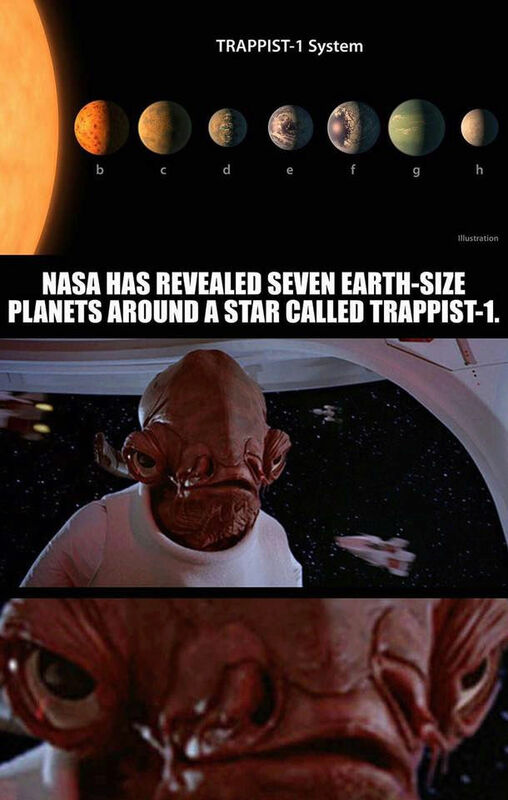 It's probably Quarren scum that were behind it all! Sad day after 5 years on IMDB board I just shut my account. Things have seriously gone even more down hill over there. You can barely click on a page in the forums without getting a "d'oh" or an error message. It's a sinking ship, falling into it's own trap. Im still there, but not as much. This seems like a nice way to at least stay in touch. I have also joined imdb2 and super hero hype forums. Hope to see you all on there as well! Quick check in. Still patrolling. Chesapeake region secure. Swimming around St Louis MO here! Its going to be 75 F today here! They did it one day early! It says "we closed on the 20th"
For the record, the IMDB boards went dark at 7:31 PM EST. I was making sure that the last post over there was probably going to be an Ackbar! Currently finning around the Annapolis area. Cheers!! Thought so. Go to full alert!